The images, recorded by observatories in three different wavelengths, allow viewers to examine the structure of the galaxy, discerning between older and younger stars, and spot features like black holes and nebulas. 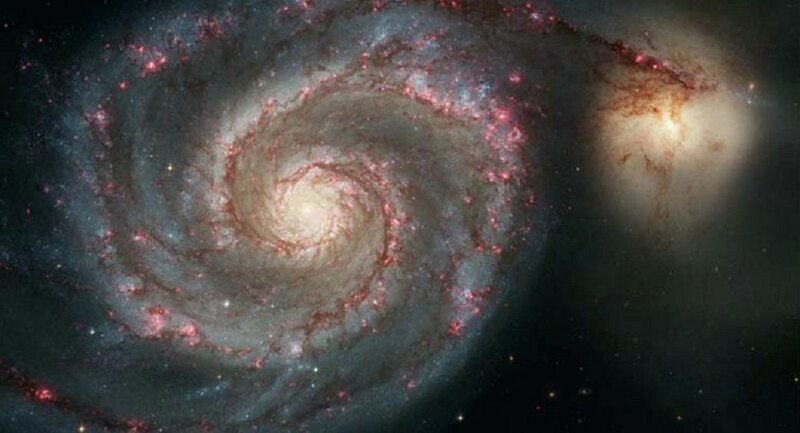 Data obtained by the Hubble Space Telescope, the Spitzer Space Telescope and the Chanda X-Ray Observatory has allowed NASA scientists to offer casual viewers a detailed look at the Whirlpool Galaxy, which researchers described as “perhaps the most striking example of a spiral galaxy”. The video – a 3-minute long series of images taken by the observatories — provides three different “angles” to observers, allowing them to view the galaxy in visible light, infrared light and X-rays. The different wavelength observations allow viewers to examine the galaxy’s structure, discerning between older and younger stars, and spot features, such black holes and nebulas.